The Strokes are recording new music. The band - whose last album 'Comedown Machine' was released in 2013 - have confirmed that they are back in the studio together, working on new material. Frontman Julian Casablancas told fans at the Landmark Music Festival in Washington, DC on Sunday (27.09.15) that they are making progress and many took to Twitter to share the happy news. One fan wrote: "we'll be back soon. we'll be back in the studio and s**t" -julian casablancas re: the strokes 09/27/2015 #confirmed (sic)." Another person tweeted: "At @LandmarkFestDC, @Casablancas_J just confirmed @thestrokes are in the studio" while yet another tweet read: "We'll be back in the studio" - Julian Casablancas :') #thestrokes #LandmarkFestDC (sic)." 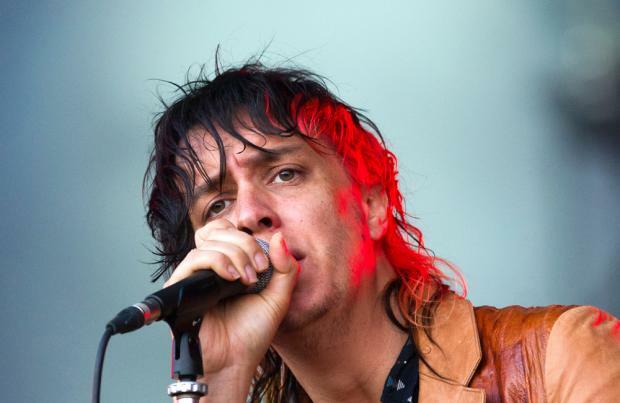 Julian, also fronts The Voidz, and previously insisted he would like to work with both bands if he can. Speaking about getting back in the studio with The Strokes, he said: "It's the first time we've been exclusively writing since 'Comedown Machine'. We're planning on recording stuff. I still think we could do cool things and I'll do that. I'd like to do both [bands] really if I could."